HONORABLE MENTION: Ardsley 7-2, Babylon 6-4, Beekmantown 6-3, Cold Spring Harbor 6-3, Depew 6-3, Fieldston School-AIS 5-3, Geneva 6-3, Hackley School-AIS 6-2, Highland 6-2, KIPP Prep-PSAL 9-3, Marcellus 5-4, Norwich 6-4, Penn Yan 6-3, Pleasantville 5-4, Rye Country Day-AIS 5-3, Stuyvesant-PSAL 11-2, George Washington-PSAL 10-1. HONORABLE MENTION: Attica 7-1, Chatham 6-3, Corinth 5-4, Coxsackie-Athens 6-3, Dansville 5-4, Dobbs Ferry 5-3, Gouverneur 5-4, Greenwich 5-3, Liberty 6-3, Potsdam 6-2, Sherburne-Earlville 5-3, Syracuse Institute of Technology 7-2, Watkins Glen 5-3. HONORABLE MENTION: Alexander 5-3, Binghamton Seton 5-4, Deposit/Hancock 6-3, Livingston Manor 6-5, Panama 5-3, Rensselaer 5-4. 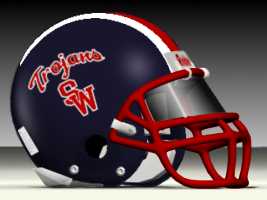 WINNING STREAKS (ALL CLASSES, 8 OR MORE WINS): Maine-Endwell 51, Carey 24, Lawrence 20, Buffalo Canisius-MMA 16, Indian River 13, Randolph 12, Shoreham-Wading River 12, F.D. Roosevelt-PSAL 11, Horace Mann-AIS 10. 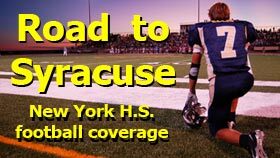 LOSING STREAKS (ALL CLASSES, 12 OR MORE LOSSES): Ithaca 24, Plattsburgh 21, South Seneca/Romulus 21, Beach Channel-PSAL 19, Somers JFK 16, Oyster Bay 15, West Seneca West 15, Odessa-Montour 14, Copiague 14, Watertown 14.